Situated on the River Stour, Ashford is a town in the southeast of England within the county of Kent. Ashford has a population of approximately 75,000 and remains relatively affordable compared with other parts of Kent. At My Home Move Conveyancing we provide a specialist, fixed fee conveyancing service, and can help you find your ideal home, as we continue to develop our knowledge and expertise of local markets like Ashford. When considering the sale or purchase of property in Ashford, you must instruct a lawyer to carry out the legal work on your behalf. 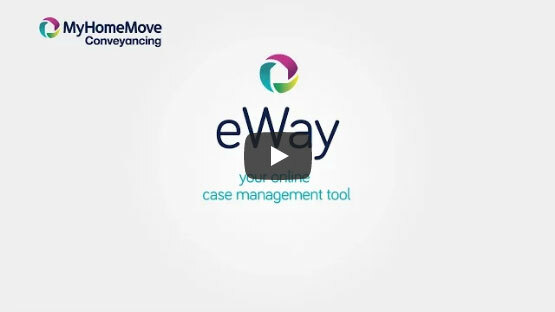 My Home Move Conveyancing offer our clients in the Ashford area an award winning level of customer service, an innovative use of technology and an intimate knowledge of the local market. Our fixed fee conveyancing service comes with no hidden extra costs to worry about, meaning you can budget for exactly how much you’re going to pay from the outset when you select us to be your Ashford conveyancers. If you don’t end up moving, you won’t have to pay us a thing. We will assign you a dedicated conveyancer who will take care of all aspects of your case from start to finish, providing you with a consistent point of contact and regular progress updates. At My Home Move Conveyancing we can provide our conveyancing services in Ashford to assist in the purchase of a variety of homes across the area, including the town centre and surrounding neighbourhoods such as Beaver Green, Kennington and Willesborough. The average house price in Kent is £227,530, while in Ashford over the past 12 months the overall average sale price was £232,121. Terraced properties were most popular in respect of volume of sales, going for an average of £194,591. Semis and detached properties sold in similar numbers for an average of £225,274 and £332,297 respectively, while flats fetched £134,867. Ashford has a long history as an agricultural and market town, while the 13th and 14th centuries saw expansion due to the flourishing pottery industry. The modern town continues to develop, with plenty of new houses built each year - there should still be something for those that prefer period properties however. There is a cosmopolitan feel to the town, yet Ashford retains a rural charm thanks to it location on the doorstep of the Kent Downs, and area of outstanding natural beauty. A selection of excellent schools in the local area boosts Ashford’s appeal among parents, with highly rated primary options including Bodsham CofE, Sellindge Primary and Challock Primary on Church Lane. Secondary choices include Highworth Grammar School for Girls, the Norton Knatchbull School and Ashford School. Ashford is located approximately 60 miles southeast of central London, and the capital’s St Pancras station can be reached in under 40 minutes due to the high speed trains available from Ashford International. The same trains can be used to reach European destinations such as Paris and Brussels. The M20 motorway passes to the north of town, connecting Ashford to Folkestone of the southeast coast and Maidstone and the M25 to the northwest. Entire council is divided into parishes. Figures shown exclude parish precepts.